As a hub in Sweden's middle, with talented inhabitants, high production figures and nature outside the window, Jämtland Härjedalen is the place for your next business establishment. With a focused business community, good infrastructure and an entrepreneurial spirit open to opportunities, there is great opportunities to take part in the growth that takes place in our region. Business Region MidSweden is the first stop when establishing your company. We help with coordination and support. Take part in Jämtland Härjedalen's business region. It is easy to invest and establish new businesses in the region of Jämtland Härjedalen. We support you in the process with our wide network of contacts, our services and venues for cooperation. Bydalsfjällen, where Gräftåvallen is located, is one of the major tourist destinations in Bergs municipality, with excellent downhill skiing opportunities, and also unexplored mountain environments that attract cross-country skiing and snowmobiling. Krokomsporten is located at the entrance to Krokom, only 15 minutes from Östersund. 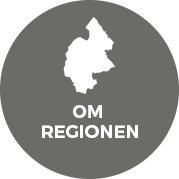 Krokom municipality with its 14 800 residents is strategically located between Åre and Östersund municipalities. Do you want to run IT operations in Åre-Östersund? This region is just buzzing with IT companies of all kinds, from small innovators to larger public authorities. Many companies value being able to locate parts of their business here to complement their activities in the capital. Then it’s not completely uncommon for staff to start looking to move to our region and we begin to grow. That’s something we welcome, and we are happy to help you. World-class vehicle testing services are located at Frösö Park, about 10 minutes from Östersund and a few minutes from the airport. The sector is one of the strongest in Sweden, and there are a great number of companies in Östersund and Åre providing related services, everything from EMC to validation. Interested in becoming an franschise in Jämtland Härjedalen? For an establishment or expansion, one requires solid information for decision making and help with practical matters. In addition to that, it's good to know the market to get the most out of the business opportunities. We would be happy to help through our broad network, our services and arenas for collaboration. With this document, we aim to give you insight into our business region, which we are so proud of, and we will gladly tell you more about how we can make you and your business feel a part of our region. Of course, we would like you to come here and form your own opinion. If you and your company are interested, we can work with you to plan a trip to our region with an exciting program. But we would need to start early in the day as we can guarantee that there´s a lot to get through!